This group portrait was taken on the occasion of the Dutch Colonial Exhibition in 1883 in Amsterdam. 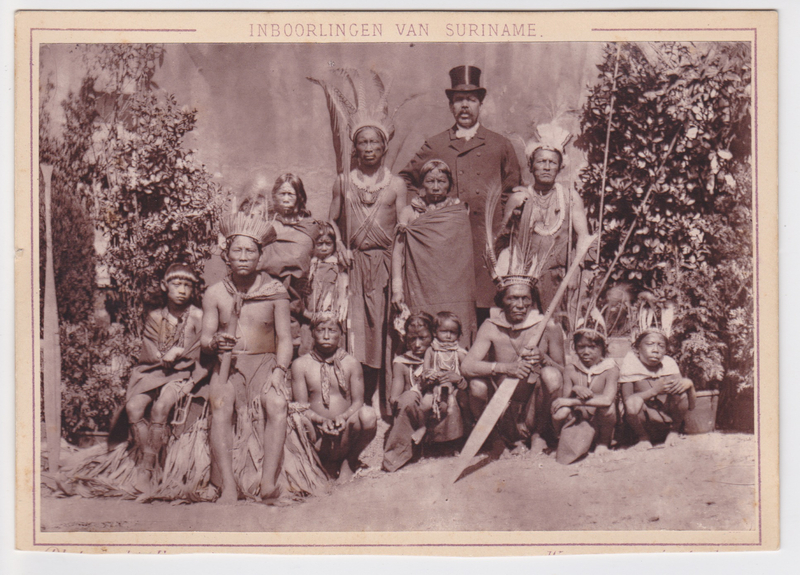 It shows so-called “Benedenlandse” Surinam Indians. “Benedenlands” meaning living on a wide strip along the coast of Suriname. The people shown in this studio portrait are probably Lokono (Arowakken) and/or Kali’na (Karaïben) indians. 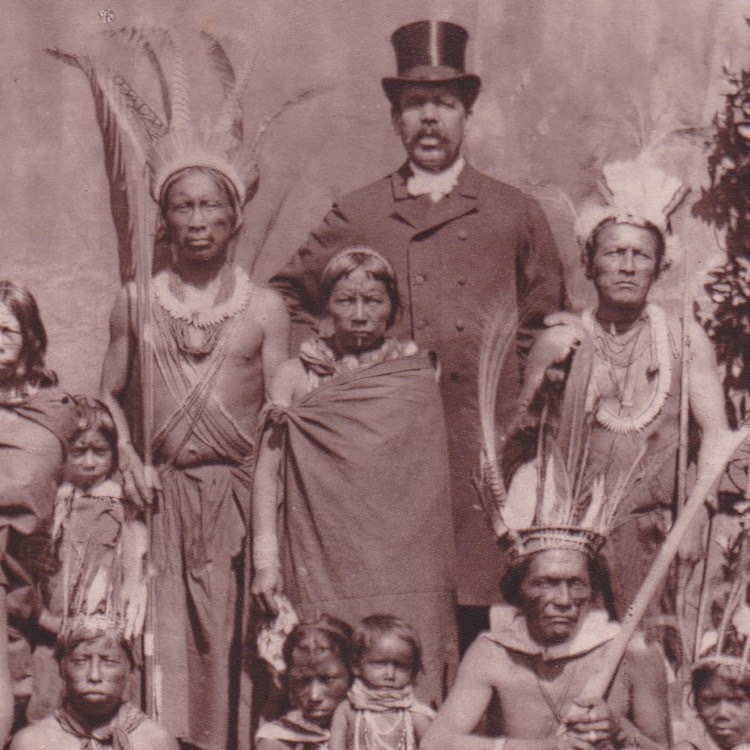 Overshadowing the indians is a man in European dress wearing a top hat; it is hard to tell but he looks to be of Surinam origin as well. A good example of the human zoos which were so popular in the late 19th century. Condition: excellent, lower half of card slightly cropped. Should you have any questions, or if you would like to order the image, please do get in touch.